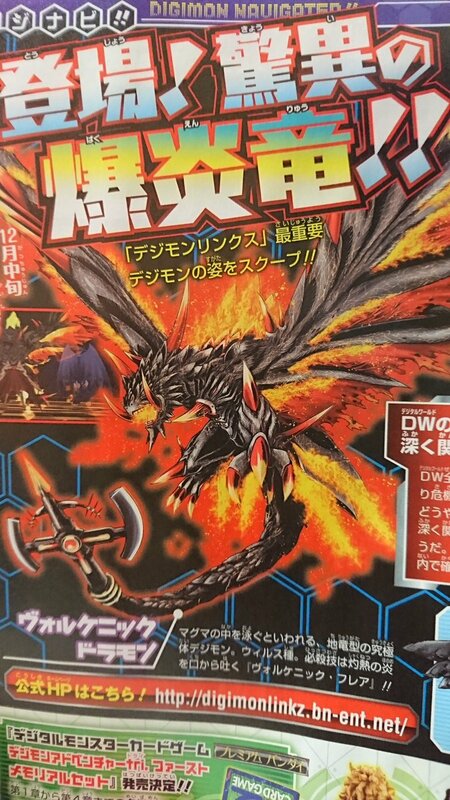 A Digimon said to be a dragon that swims in magma, it is thought to live in a place so deep underground that not even Digimon that move about there can reach it. According to some researchers, there are a few who argue that it might have been Volcanicdramon that supported the world from deep beneath the ground ever since the Digital World was created. Should Volcanicdramon ever rise to the surface, it may be that some kind of crisis is occurring in the Digital World. Its Special Move is spewing scorching hot flames from its mouth (Volcanic Flare). The area incinerated by Volcanicdramon never returns to the way it was, and becomes an uninhabitable wasteland for all eternity. In addition, there is "Glide Blaze", where it rams the enemy while sending out scorching flames hotter than even magma from its whole body. 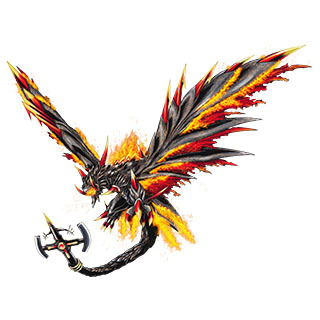 A Digimon said to be a dragon that swims in magma, it is thought to live in a place so deep underground that not even Digimon that move about there can reach it. There are some who argue that it might have been Volcanicdramon that supported the world from deep beneath the ground ever since the Digital World was created. An Earth Dragon-type Ultimate Digimon that is said to swim in magma. Virus-species. Its Special Move is spewing scorching hot flames from its mouth (Volcanic Flare)!! 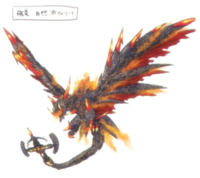 Title: 「爆炎の竜」 — "Explosive Flame Dragon"
Short for dragon and a reference to the Dramon-species. 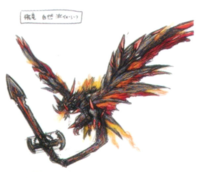 Glide Blaze  グライドブレイズ Guraido Bureizu Rams the enemy while sending out scorching flames hotter than even magma from its whole body. Volcanic Flare  ヴォルケニック・フレア Vorukenikku Furea Spews scorching hot flames from its mouth. 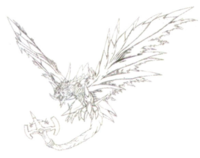 Volcanicdramon is the main Digimon of the game. Its responsible for the emergence of the Mutant Digimon. This page was last modified on 10 April 2019, at 00:08.